New York: Leavitt and Allen, 1860. Decorative Cloth. Very Good +. 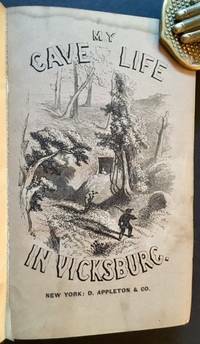 A tight, well-preserved copy of the uncommon original edition, circa 1860. Solid and VG+ in its decorative blindstamped cloth, with still-bright gilt-titling and design at the spine. A crisp, clean interior, save for just a touch of light, occasional foxing to the text and along the edges. 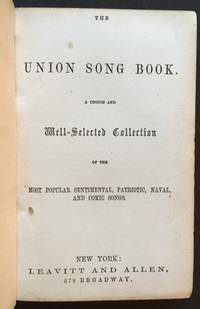 64mo, an extensive collection of patriotic songs (just shy of a hundred), produced no doubt partly as a result of the unprecedented --and unsettling-- recent threats to the Union. The Antietam Battlefield Memorial Commission of Pennsylvania, 1908. Cloth. Near Fine. A crisp, very sharp copy of the 1908 1st edition. Tight and Near Fine in its dark-green cloth, with unrubbed gilt-titling along the spine. The Presentation stamp of "Jno. M. Jamison/Senator 89th District/Pennsylvania" at the front pastedown along with a neat former owner name (which appears additionally on the title page). Otherwise, very clean, with no further writing or markings of any kind. Octavo, several dozen photos thruout plus large fold-out map at rear ("Map of the Battlefield of Antietam"). From the title page: "Report of the Antietam Battlefield Memorial Commission of Pennsylvania and Ceremonies at the Dedication of the Monuments Erected by the Commonwealth of Pennsylvania to Mark the Position of Four Regiments of the Pennsylvania Reserves Engaged in the Battle"
William H. Rauch, Historian (For the Regimental Association), 1906. Cloth. Very Good. 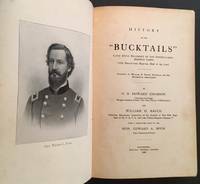 A solid copy of the 1906 1st edition of this history of the "Bucktails", the celebrated Civil War regiment of the Pennsylvania Reserve Corps. Tight and VG in its dark-green cloth, with bright gilt-titling along the front panel and spine. Light scuffing and spotting at the panels, (2) small former owner names to the front free endpaper. Still thoughh, very presentable. Thick octavo, 466 pgs., including a number of pictorial illustrations supplementing the text. Rutland, VT: Tuttle & Co., Printers, 1883. Cloth. Near Fine. 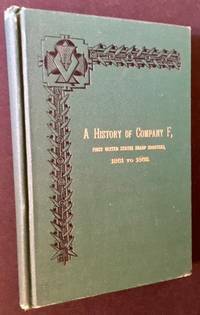 A crisp, very sharp copy of the 1883 1st edition of this uncommon examination of the role of the Vermont Riflemen in the Civil War and the history of Company F, "first United States sharp shooters". Tight and Near Fine in its dark-green cloth, with bright gilt-titling along the spine. Light scuffing and wear at the rear pastedown, otherwise clean as could be. 12mo, impressive early imprint by the formidable Tuttle & Co. of Rutland, VT.
Albany, NY: Press of Brandow, Barton & Co, 1886. Cloth. Very Good +. INSCRIBED BY THE AUTHOR WILLIAM TODD on the front blank endpaper. A very solid, unusually well-preserved copy to boot of the 1886 1st edition. Tight and VG+ to Near Fine in its dark-green cloth, with crisp gilt-titling along the spine. A touch of very light spotting at the panels, otherwise clean as could be and, intenally, free of any writing or markings. Thick octavo, 20 maps and 6 engravings thruout complement the text. Detroit: Geo. Harland Co. Publishers, 1905. Original wraps. Very Good. The uncommon 1905 original edition of this memoir by W.F. 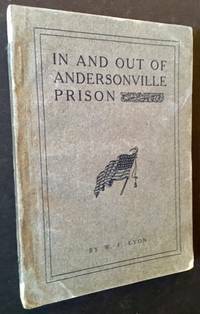 Lyon of his time during the Civil War spent as a Union prisoner of the Confederacy at Andersonville Prison in Andersonville, Georgia. Tight and VG in its dark-gray printed wrappers, with chipping (including a bit of paper loss) at the spine ends and along the panel edges, and light soiling to the rear wrapper. 12mo, chilling first-person account by the man who would become, incredibly, the supervisor of penmanship at the Detroit Public Schools. New York: D. Appleton and Company, 1864. Cloth. Good +. A perfectly serviceable copy of the 1864 1st edition. Solid and Good+ in its bevelled, light-brown cloth, with rubbed gilt-titling along the spine. Wear as well at the spine crown and light chipping just below the crown. Former owner name --as well as a small tear-- at the front free endpaper, very light, faint staining along the top-edges thruout the text. 12mo, handsome decorative blindstamping at the panels. New York: Harper & Brothers, 1888. Cloth. Very Good +. The uncommon 1888 1st edition of this important, early history of France's involvement in the Civil War, specifically its attempt to destabilize the Federal government by throwing its weight behind the Confederacy and its Navy. A solid, very well-preserved copy. Tight and VG+ in its olive-green cloth, with bright gilt-titling along the spine. Light wear at the spine crown, very light scuffing to the rear panel, 2 neat former owner names at the front free endpaper. 12mo, 247 pgs. plus a thorough list of "recent" titles pubished by Harper & Brothers. 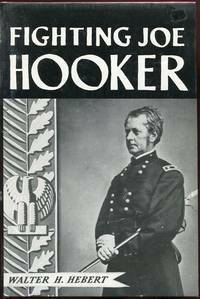 "At one stage of our Civil War it seemed as though its fate was to be decided less by the belligerents than by the national powers on the other side of the Atlantic" (the opening sentence of the Preface). 1880. Original wraps. Near Fine. Wonderful album of period, captioned photos of "Fortress Monroe", which was a Union stronghold in Hampton, VA, at the southern tip of the Viginia Peninsula, also known as "Freedom Fortress". The album inlcudes 25 pasted-in photographs (including 2 panoramics) of Ft. Monroe and the Old Point Comfort. Among them are photos of the "colored" Normal school, the building in which Jefferson Davis was imprisoned, the U.S.S. Maine and the U.S.S. Columbia. 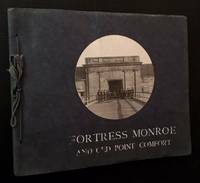 The album has held up very nicely in its dark-blue, ribbon-tied card wrappers, with circular exterior-shot of Fortress Monroe affixed to the front panel. Light rubbing to the titling, otherwise clean as could be, with each photo in near-pristine to pristine condition. Oblong quarto, c. 1880. Portland, Maine: The Lakeside Press, 1898. 1/2 leather. Very Good +. A handsome copy of the 1898 1st edition. Tight and VG+ in its 1/2 leather (dark-brown) over blue boards, with light scuffing at the front panel and former owner name (in pencil) at the front pastedown. Bright gilt-design and rule to the panels, 4 raised bands with crisp, unflecked gilt-titling at the compartments. Thick octavo, 602 pgs., crisp black-and-white plates thruout. Gaithersburg, Maryland: Butternut Press, Inc, 1987. Cloth. As New/As New. An immaculate copy of the 1987 Butternut Press re-issue of the 1944 1st edition. Still in its original shrinkwrap. A Fine octavo in a bright, Fine dustjacket. 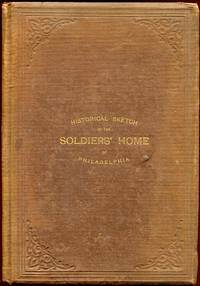 Philadelphia: The Soldiers' Home, 1886. 1st. Decorative Cloth. Collectible; Very Good. 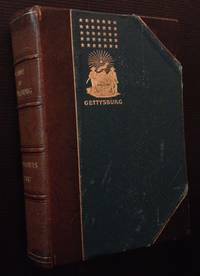 The 1886 1st edition. Solid and well-preserved in its chocolate-brown cloth, with bright gilt-lettering and decorative blindstamping to the front panel. Very light wear at the spine ends, otherwise clean as could be. Octavo, 99 pgs. A nice piece of Philadelphia history --and Americana. New York: The War Memorial Association, 1912. Original Wraps. Collectible; Fine. A clean, well-preserved copy of this 1912 "facsimile photographic reproduction of the official war photographs taken at the time by Mathew B. Brady", complete in 16 sections. Each section is bright and Near Fine in its light-blue, stapled wrappers and each is internally immaculate, with no writing or markings of any kind. 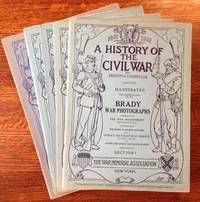 Tall, uniform quartos, hundreds and hundreds of crisp black-and-white Brady photographs documenting the day-today struggles of the Civil War in detail never before seen. Also includes a VG example (light wear at the spine ends, very light soiling to the rear panel) of the publisher's printed chemise, with the original ribbon-ties intact. Coldwater, Michigan: Daily Courier Print, 1913. 1st. Decorative Cloth. Collectible; Very Good. The very uncommon 1913 1st edition. Solid and VG+ in its dark cloth, with bright gilt-lettering and device at the panels. Small former owner name and tag at the front pastedown, otherwise very clean. Octavo, 76 pgs., fold-out plate at rear. 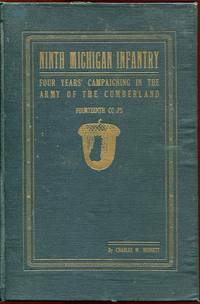 Also includes "Four Years Campaigning in the Army of the Cumberland" by Chalres W. Bennett; "Regimental Meetinmgs Since the War" by Henry C. Rankin of Company C; and "Regimental and Company Organizations" by Frank A. Lester, Jr., son of Frank Lester, Co. C.
New York: The Devin-Adair Company, 1960. 1st. Cloth. Collectible; Fine/Very Good. An unusual copy of the 1960 1st edition: FROM THE PERSONAL ARCHIVE OF DEVIN GARRITY (THE BOOK'S PUBLISHER) -- AND INCLUDING A NUMBER OF CORRESPONDENCES BETWEEN GARRITY AND OTTO EISENSCHIML (THE BOOK'S EDITOR) AND OTHER RELATED LETTERS, ETC. A very sharp copy to boot. Near Fine in a bright, price-intact, VG+ dustjacket. Thick octavo, 340 pgs. New York: Harcourt, Brace and Co, 1957. 1st. Cloth. Collectible; Fine/Very Good. A crisp, clean copy of the 1957 stated 1st edition. Tight and Near Fine in a bright, price-clipped, VG+ dustjacket, with light age-toning to the spine. Octavo, 178 pgs. Nicely illustrated by Paul Galdone. New York: Holt, Rinehart and Winston, 1973. 1st. Cloth. Collectible; Very Good/Very Good. 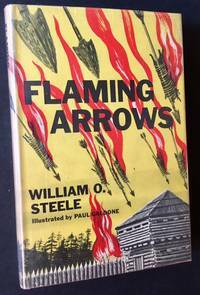 A nice Association copy: WARMLY INSCRIBED BY THE AUTHOR TO HIS CLOSE FRIEND MAXWELL GEISMAR, pre-eminent literary critic and biographer (1909-1979) and editor at Ramparts magazine. A crisp copy to boot of the 1973 stated 1st edition. Solid and VG (with light foxing at the endpapers) in a bright, VG+ dustjacket. Octavo, 304 pgs. Signed by Author. New York: Doubleday, Page & Co, 1900. 1st. Decorative Cloth. Collectible; Very Good. The 1900 1st edition. Solid and VG in its gilt-lettered gray cloth. Light soiling to the panels and at the front free endpaper. Still though, a perfectly presentable copy. Octavo, 96 pgs., beautifully illustrated by the author herself. Small former owner plate at front pastedown. Alexandria, VA: Self-published, 1973. 1st. Original Wraps. Collectible; Very Good. A clean copy of the 1973 1st edition. Bright and VG+ in its pictorial wrappers. Quarto, 68 pgs. New York: G.P. Putnam & Son, 1869. 1st. Decorative Cloth. Collectible; Very Good. 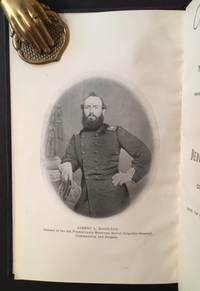 A crisp, clean copy of the 1869 1st edition, with mounted frontis photographic portrait of Admiral Farragut. Solid and VG+ in its gilt-decorated front panel. Decorative blindstamping as well to the panels, bright gilt-lettering along the spine. Thick octavo, 464 pgs., all edges gilt. Former owner name and date at front preliminary. "Our Admiral's Flag Abroad"